Anxious as the roller coaster climbs up the track, knowing that the climb is just temporary. Once the car reaches the end of its incline, it steadies itself at the top. Rocking back and forth, all I can think of is the fact that soon the car will go flying down into the depths of darkness. I am unsure of how long the darkness will last, but I feel hopeful that this time it will be short. I have faith that the darkness will pass and the light will come again quickly. Having misdiagnosed Bipolar II is just like that. It is a roller coaster ride from "normal" into darkness. 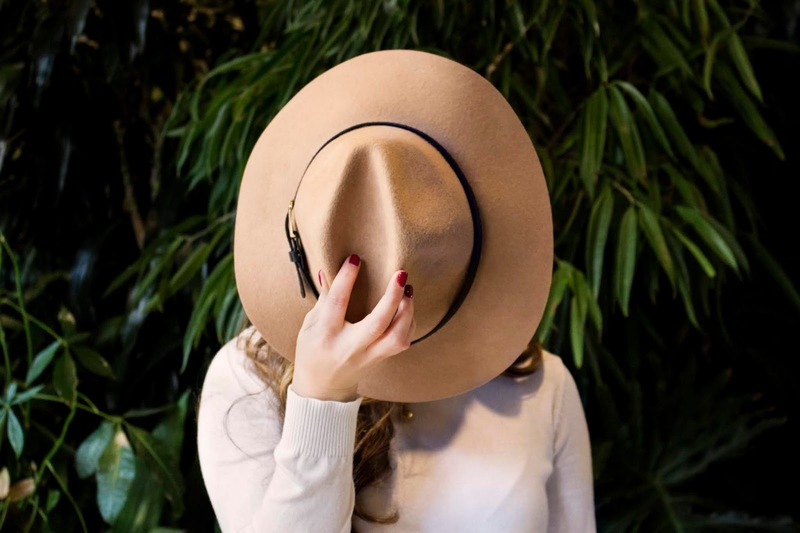 At times you can be smiling and laughing and then the next day, you are fighting to get out of bed because something in your brain just plunged you into a giant, deep, dark hole of depression. How long will you be in this hole? Well, unfortunately there is no telling. The only silver lining is that you know that it can't last that long. 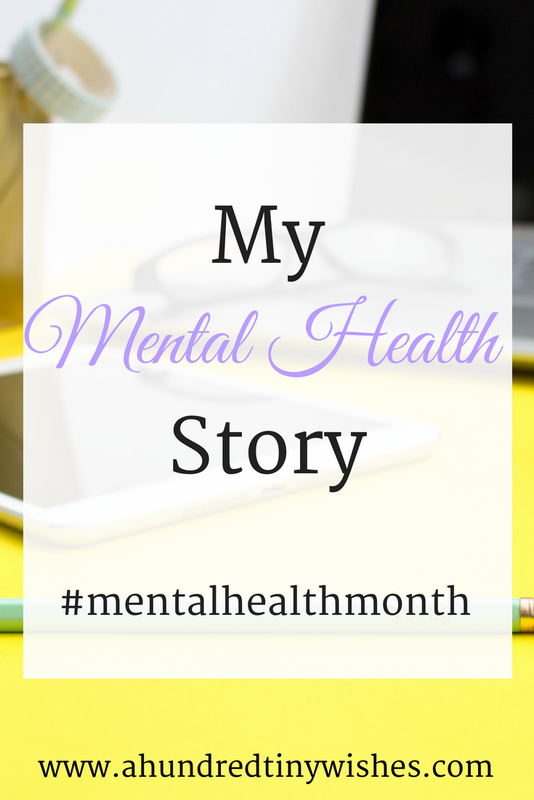 I was diagnosed with depression in my early teens. I tried a lot of different "happy pills", but when I couldn't find one that worked well with me, I decided to go medicine free. And I was doing great until my son was born. Then it all went to h*ll. I would get up multiple times a night just to check on my son, to see if he was breathing. I would cry for no reason. I would want to sleep all the time and sometimes I felt like I was a horrible mom because it physically hurt to cope. I never cleaned the house. I always smelled like baby puke. I felt alone. I felt numb. Knowing that my depression "episode" was getting worse, I talked to my doctor. She told me that I could either take "happy pills" or I needed to start relying on family to give me a break here and there. I knew I didn't want to be medicated, so I chose the latter. And I felt ok. For a while. My gynecologist was the first doctor that I said ok to medication with. He was doing my annual and asked how I was. Granted this was after he did his "thing" and I was still almost naked on his exam table. I told him that I felt numb. That I had no interest in things that made me happy anymore. After talking a bit more, he wrote me a script and told me to just try the medication. I said ok. After two months, my dosage was increased. I was "getting by". I had more happy days. My moods were somewhat stable. And then the next "episode" sprung itself on me after my car accident. It. was. horrible. You don't understand the physical pain of depression until you experience it first hand. 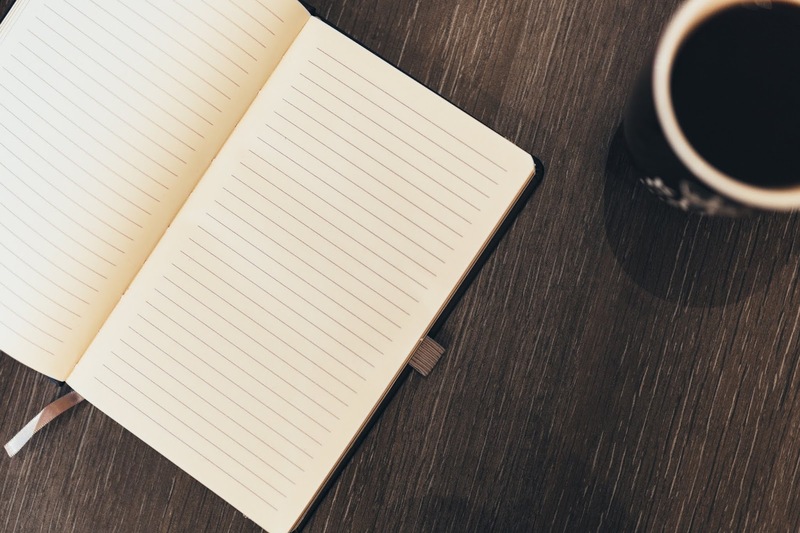 Yes, I was hurt from my car accident (and I am still), but the depression pain was ALL OVER. It was a chore to wash my face and brush me teeth, because it took so much energy from me. I returned to my gynecologist to see if he would increase my medication. It seemed to work great until the post-car-accident "episode", so I figured maybe it would help after. He, of course, said that psychiatrics was not in his scope of medicine and told me to go see a "real" psychiatrist. A few months later, I had my first appointment with my psych doctor. She was sweet, nice, understanding, a great listener, and diagnosed me with Bipolar II, OCD, ADD, and Anxiety. She finally opened my eyes and told me that the depression roller coaster I seemed to be on, was actually Bipolar II. She told me that I wasn't crazy, alone, or out of my mind. She said that sometimes Bipolar II is misdiagnosed as depression, because a person doesn't get high highs and low lows, they only have itty bitty highs, "normal", and low lows. And they continuously cycle through it. Honestly, I think that is a crock of sh*t... I mean, if I'm going to have Bipolar, then I want the high highs along with the low AF depression. And I just don't want a little bit- I want the staying up for three days straight, partying, going off the deep end, waking up in a different state because I have no idea what just happened the past few days mania. Cue Katy Perry's "Last Friday Night". Me: So yeah, I have Bipolar. Yeah, now you see what I am talking about, huh? Anyways, once I was diagnosed with the four big ones, I finally decided that medication was the way to go. I was tired of feeling like crap and tired of dealing with moods that would be normal and then get all f-ed up. My psych doctor put me on a mood stablizer first, which started my lovely "test subject" status. 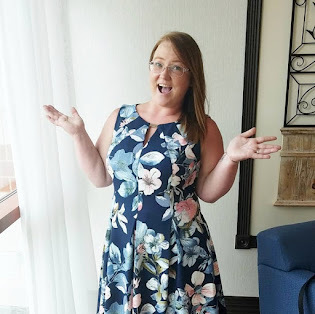 Since I was diagnosed, I have been on four different mood stabilizers, had an increase in one of the mood stabilizers, started ADD medication, then had two increases, and even quit one of my medications cold turkey (a post for another day). The good thing is that my moods are evening out, and I have more energy. Honestly, I had never been an advocate for medication until my diagnosis, but after, I knew that medication would be the only thing to help me cope. Sure, I am not exactly where I want to be yet, but I am getting there. Medication has helped me To help me be a better mother. To help me focus on the good. To help me smile. To help me not just survive, but to live. Well at least some form of it. If you are struggling with any type of mental health issues and need someone to talk to, please reach out to one of these websites. So this weekend, specifically Sunday, is Mother's Day. Meaning that it is the day that you give the lady that birthed you, the lady that raised you, the lady that was like a second mom, your grandmother, the lady that watches you, or even a special lady in your life, a gift. 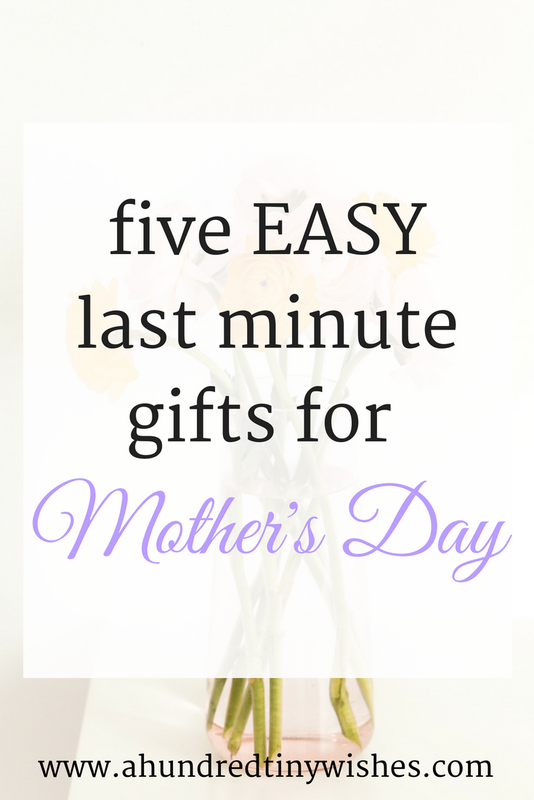 If you are like me and haven't gotten your special lady a gift yet, and don't want to just get a card and flowers, I got you covered with five EASY last minute gifts! A DIY spa basket is one of my favorite things to give my mom or even gal friends of mine; and it's so easy. All you have to do is buy a basket and fill with lotion, nail polish, manicure/pedicure set, candle, towel, body wash... whatever you think smells pretty. Pack everything in your basket, get some plastic wrap, and give. Or just give with out the plastic wrap- it's your gift, your choice. 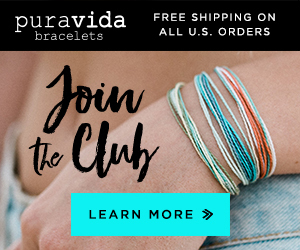 If you are a little bit crafty, this one is for you. Go to Hobby Lobby, Michael's, or any craft store- even Walmart will have what you need. 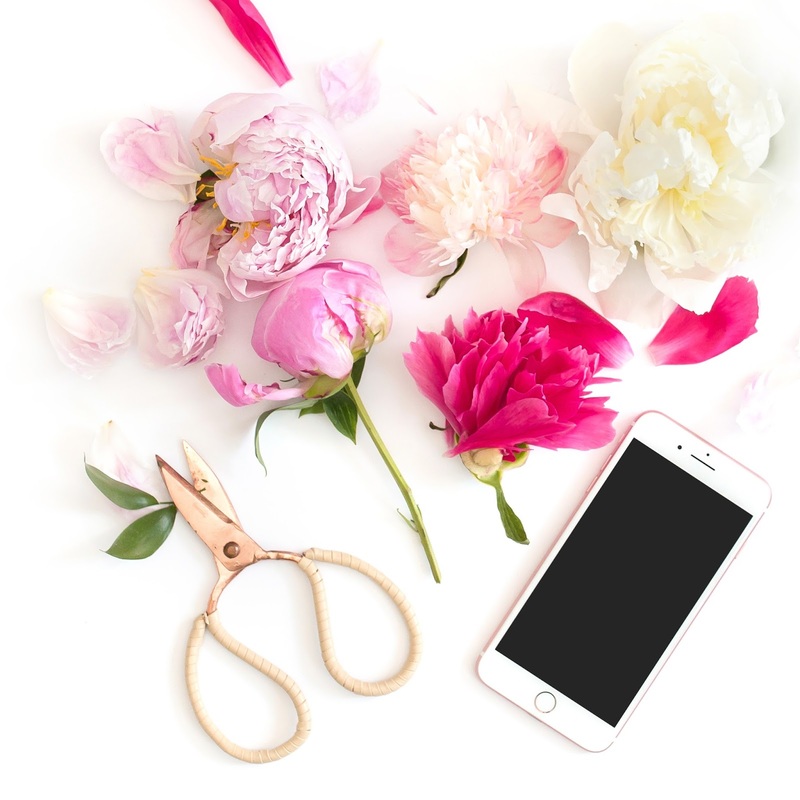 Buy a colored vase, preferably in your lady's favorite color, pick up your favorite fake flowers, and arrange them to look amazing. Now your special lady will have a great centerpiece and it was totally made by you! 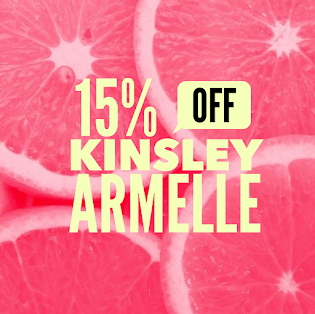 So is your special lady a little bit obsessed with makeup, skincare, or perfume? Well, why not grab one of these gift sets for her? This candle says it all "Best Mom Ever". It's also a 3-wick and smells like lilacs. This one has really pretty flowers on it and smells like peaches. Summer is the one time that I really hate using heat on my hair. I feel as if the weather makes my hair dry enough and I don't need to add to it to make my hair fancy. I mean, sure I love to have straight hair sometimes, but usually I go heat free and my hair is up in a pony tail, bun, or even a braid. AND I love braids! For me, braids are a super easy way to turn dirty hair into a work of art (exaggeration, I know). 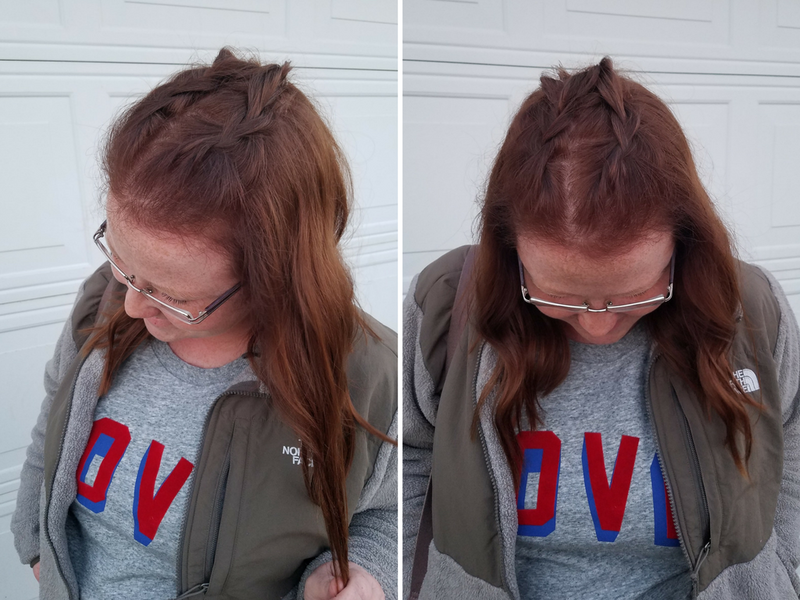 So today, I am sharing with you three of my all time favorite summer braids, because a) they're easy, and b) who wants to spend a ton of time on your hair? I love to change up my look for different seasons, especially summer. 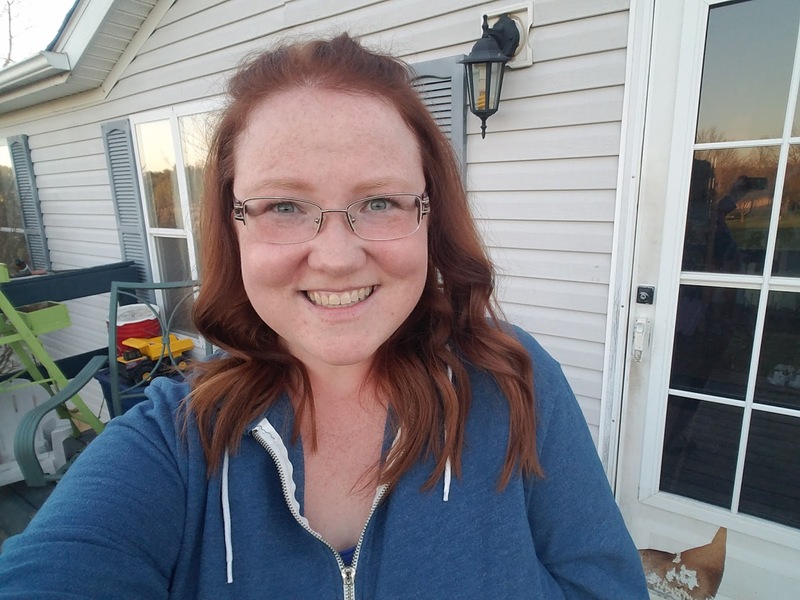 My natural hair color is strawberry blonde- a blondish color with red undertones, and in the summer, my hair lightens so much that I look BLONDE. I hate it. With my fair skin and lack of pigment in my eyebrows, the lightened hair makes my face look too washed out. So in short, I like to start the summer with a darker hair color. This year, I used Schwarzkopf® Keratin Color from Walmart. Number 5.7- Chestnut Brown, to be exact. 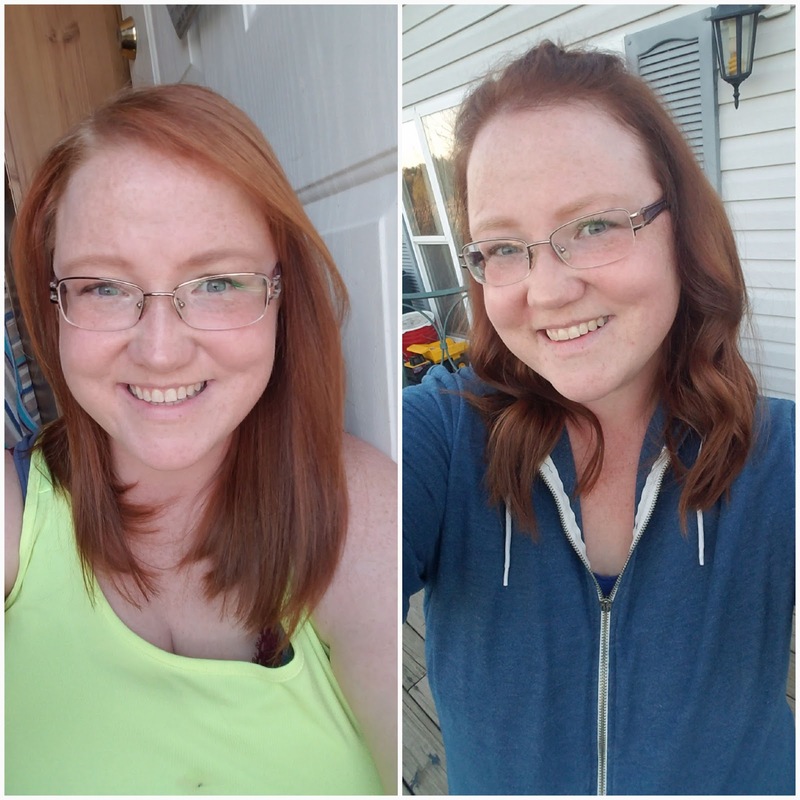 I had used Schwarzkopf® Keratin Color last year and really liked my results. Personally, I am no stranger to using a box dye. Sure, sometimes it's not good for your hair, but the nice thing about the Schwarzkopf® Keratin Color is the K-BOND PLEX™. Basically it is salon inspired anti-breakage technology that repairs the inner hair structure for strong and healthy looking hair. It also coats the hair surface after the coloration process for strong and healthy looking hair. 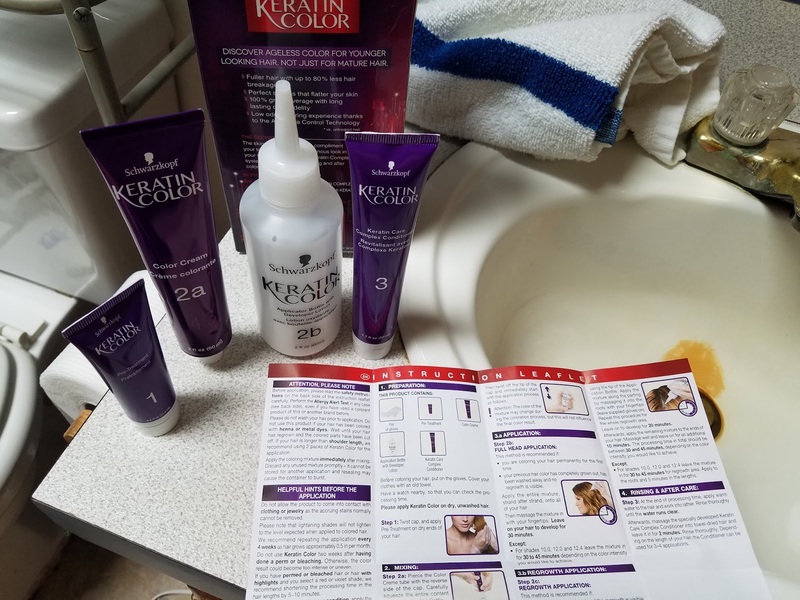 With using Schwarzkopf® Keratin Color, I have also experienced even color from root to tip, lasting color intensity, less hair breakage, and professional quality hair color at home that is easy to use and produces beautiful color results that last! 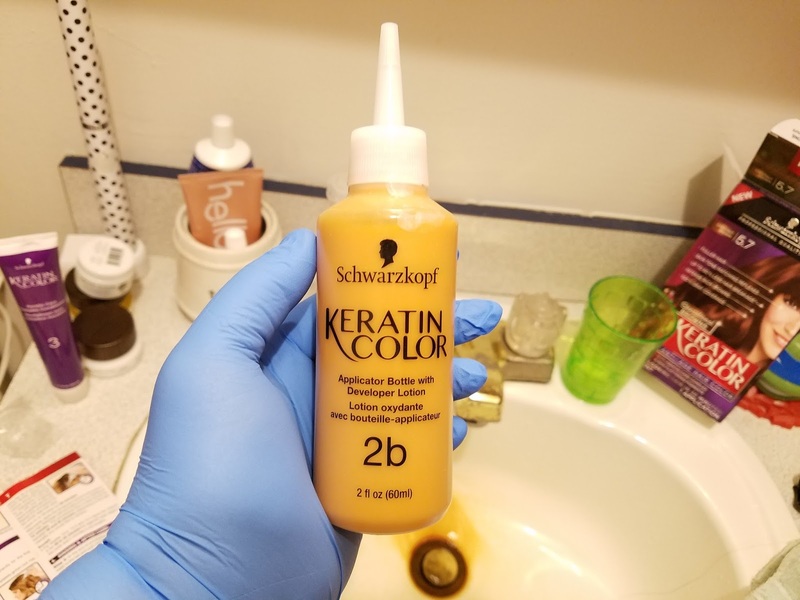 My ULTIMATE FAVORITE thing about the Schwarzkopf® Keratin Color is the Pre-Color Serum. It's a fourth step that Schwarzkopf® has added to condition the hair, particularly the dry ends, for a more even color result. 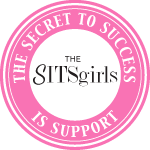 It is the bomb dot com. I really like the Schwarzkopf® Keratin Color and would use it again. And again. 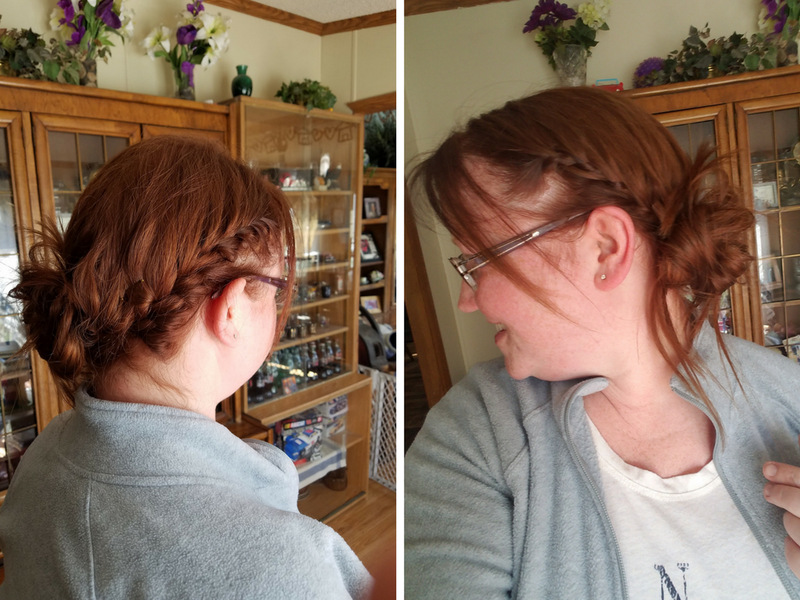 Honestly, I don't know what the actual name to this double braided hairstyle is, but we'll go with the double dutch mohawk braids; and they are super easy. Section hair as if you were going to do that bump thing that everyone loves and then use a clip to hold the rest of your hair. Split the section of hair into two. As you can see in the picture, my hair isn't sectioned right down the middle and follows my natural part. That is perfectly fine- this hairstyle can be as messy as you want it to be. Dutch braid each section back and secure with a clear elastic. Leave hair straight or add some quick lazy curls with a 1 inch curling wand. Add hairspray or texturing spray for hold. Start at the temple and French braid one side of you head. I like for my pony tail or bun to be in the left side of my head, so I start with the right side. 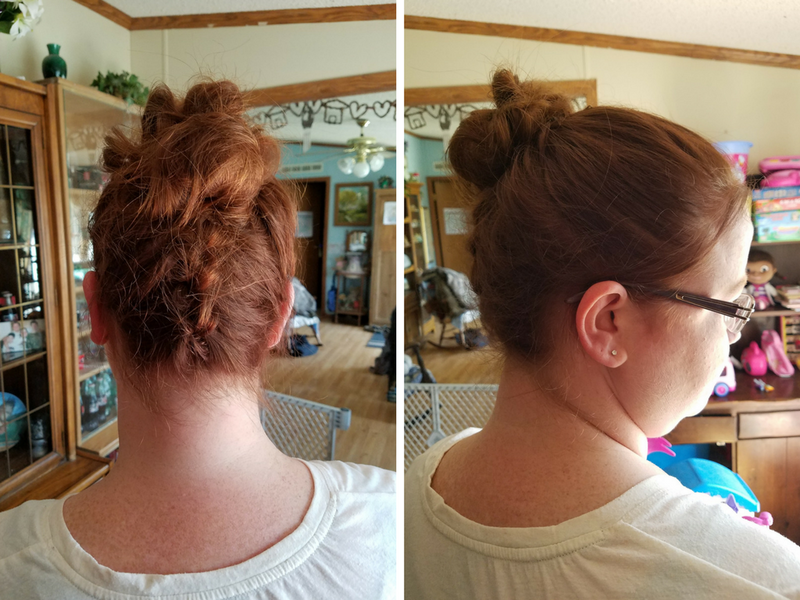 French braid down around the base of your head and the across to the other side. Once you reach below your ear, use a clear elastic and tie the braid off. 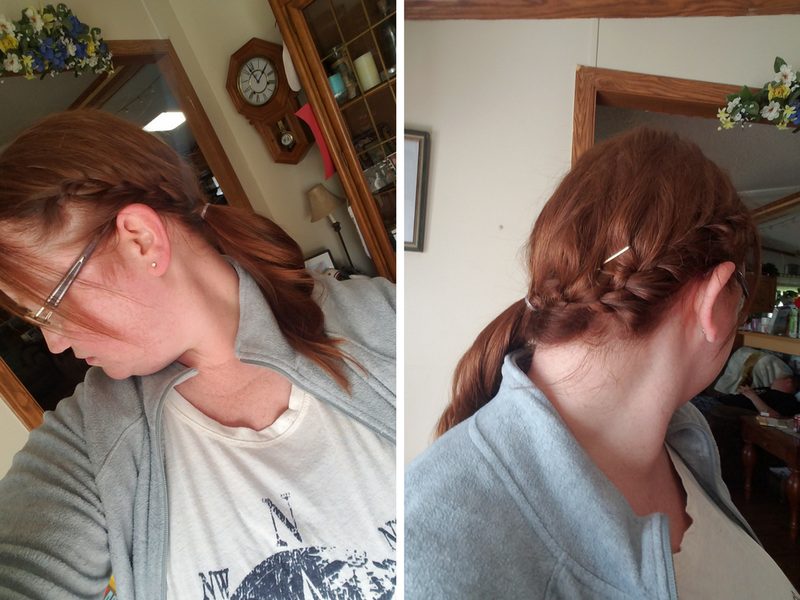 Starting at the temple on the opposite side of your head, french braid down until you meet the other braid. Combine braids into a pony tail. Loosen up braids so they're not tight. Leave as is or make a messy bun. Pin any crazy hairs or not... then add some hairspray for hold. Go out and enjoy the sun. Flip all of your hair upside down and brush. Starting from the base of your neck, Dutch braid the hair up to about your temple. You can go higher or lower- it's just your preference. Gather up the rest of your hair, combine with braid, and secure with a clear elastic. Make a messy bun out of your pony tail. Spray with hair spray for hold. Go to the beach and get some color. 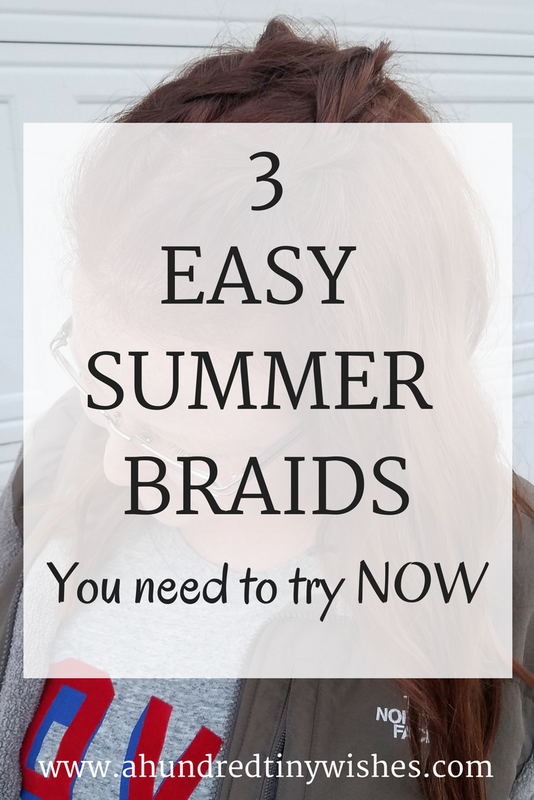 All three of the easy summer braids are so simple if you know how to braid. If not, go look on Pinterest for some braiding tutorials; and ps. French Braid means that the pieces of hair go over each other, and Dutch Braid means that the pieces of hair go under each other. 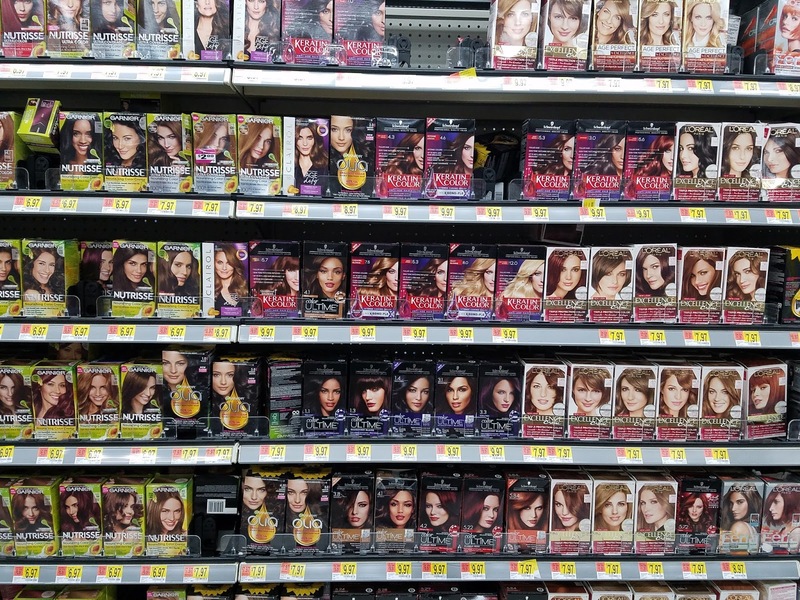 If you are interested in changing up your look (aka hair color) for summer, you can find the exact Schwarzkopf® Keratin Color I used at your local Walmart in the hair care aisle. Have you ever dyed your hair at home? 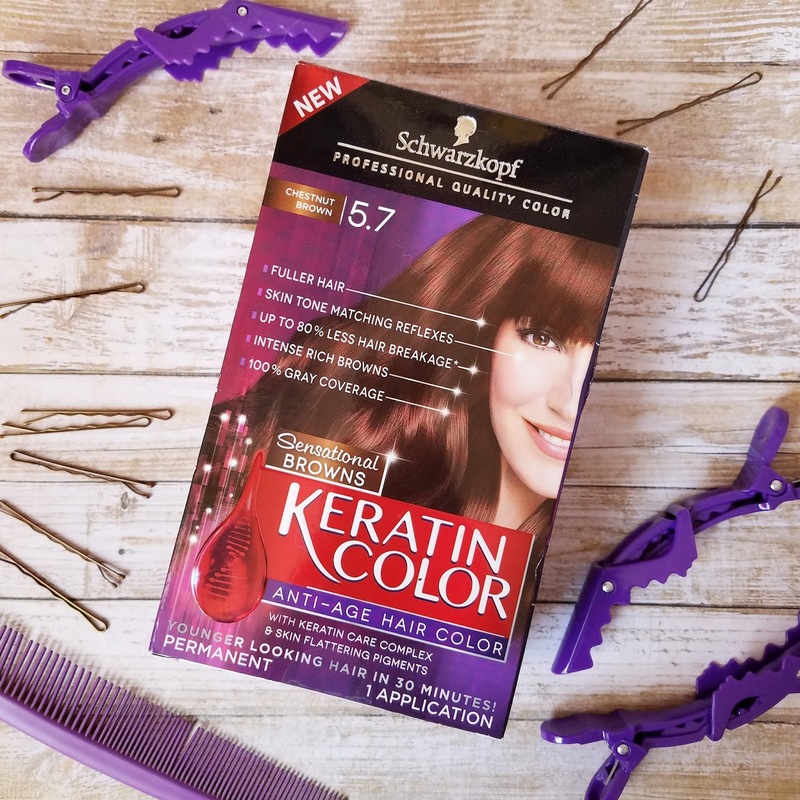 Would you ever try Schwarzkopf® Keratin Color?